Well, sadly, you missed it. The performance I saw was the last of the season. Daniels does have a disc of solo Handel arias out (with Norrington and his band accompanying), which includes the main arias from Cesare. But I have not seen either one. BTW, my review of the Cesare at the Lyric is here. There is a least one excerpt from the Rinaldo DVD on youtube (Venti turbini)... the staging looks... very, very weird. I'll have to investigate the Theodora one. Kultur generally is an awful label, though. The Theodora is excellent, it has a modern twist to the staging, Peter Sellars is the Director. I am not a great admirer of his, but I could not imagine this piece brought more convincingly to life. As well as Daniels, who is superb, Upshaw is excellent. Their two duets are especially affecting, blissful. The whole approach by Christie is to produce long momnets of suspended time and each long aria is given with repeats. There is not a boring moment in it. Additionally, Lorraine Hunt Lieberson is at the top of her form and rivets attention as she unrolls each of her arias, such great acting is rare. We had this on VHS after accidentally catching about half of it on TV, we wore the tape out, it stretched. So, it is good to now have it safely on DVD. Here is a site about Daniels, but it is not being kept up to date, I have pretty much all the recordings mentioned. I especially recommend the Vivaldi Stabat Mater. I agree with the advice you have been given by TC. The arias can be extremely long and tend to be in the A-B-A structure. Yes, but equally, he many times does keep to the ABA structure. Theodora, Messiah etc....it was not a golden rule, but it was a frequent habit. The Messiah has one of the longest such arias, 'He was Despised' can last 13 minutes unless it is partially cut, which does often happen. Here is an elderly, but very beautiful rendition of a duet from Rodelinda with Janet Baker and Joan Sutherland. I am trawling through the complete Handel Italian operas and English biblical oratorios at my site (see my signature or my profile) Secular oratorios will be dealt with too when I'm done with these. There are WMA downloads from each work, from the best recordings available, so join up and try the samples for yourself. Another engrossing production, excellently sung and vigorously directed by Christie. Nice stage direction as well. The choir pointing fingers at Dejanira, exclaiming "Jealousy!" is a great moment. I had the pleasure of seeing this production live as well, two years ago at the BAM. I have this DVD and I agree with your assessment though I had a problem with the ending. They carry one the guilt ridden madness of Dejanira right into the final quite jubilant chorus, which produces a rather unsettling effect. Maybe that was the producers intent, I don't know, but it didn't work for me. I thought the appearance of the huge statue of Hercules at the very end was a great idea, I would have brought it in a little earlier as its appearance was rather too brief to make its point before the final curtain. 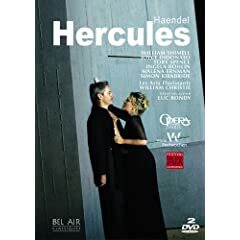 Daniels sings on Minkowski's CD version of Hercules and is very good. I have the Christie Giulio Cesare DVD but was not particularly impressed with any of it, though GC 'himself' was quite good in this. I assembled in toto 6 compositions from Handel opera, oratorios etc, not the best performances, but merely for finding what opera fits me, and which not. After that I will probably put them in the Refusal bin. I would like comments on the operas, and other versions, plus what best to avoid and what not. I do not like big voices, neither heavy vibrato, or unnatural drama. I am very much open for HIP performances too! So, help me a bit on my way, if you please. Amor Artis Chorale, English Chamber Orchestra/Johannes Somary. Akademie fur Alte Music, Berlin/Marcus Creed. I think there is only one opera in your list; Faramondo. The rest are oratorioes, or in the case og Acis & Galatea; a quasi-masque. There are also several old recordings which I would be sceptical of performancewise, but I don't know any of these . I think there is only one opera in your list; Faramondo. The rest are oratorioes, or in the case og Acis & Galatea; a quasi-masque. That is correct. I don't know all of Handel's operas by any means, but my very favorite is Orlando, which you can get in a good HIP version conducted by William Christie. I like even more an older LP version with Sofia Steffan conducted by Stephen Simon, but it is not available on CD and has some serious cuts. Yes you are right, true my fault. Nevertheless, I would like some advice in this. If you want to try Händel operas, and don't like big voices, how about the Gardiner Tamerlano? Nancy Argenta as Asteria should be enough to sell you on it. All the singers are really good, and suit the small, period instrument ensemble (English Baroque Soloists) very well. Händel's operas are loaded with great melodies, and this is no exception. You are right, that one is on my maybe list, and Nancy Argenta, is a fine soprano. Gardiner's approach is also one I admire. So thank you for this pointer, as a sort of affirmation. My gratitude knows no end, thanks, Rego. The advise you are seeking is only for CDs? 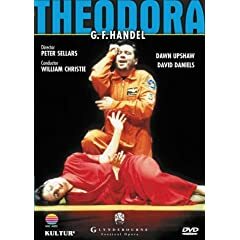 You have not ventured into the treasures of seeing a large number of Handel's operas on DVD? Incredible riches awaiting you to see the operas performed by outstanding singers, actors! 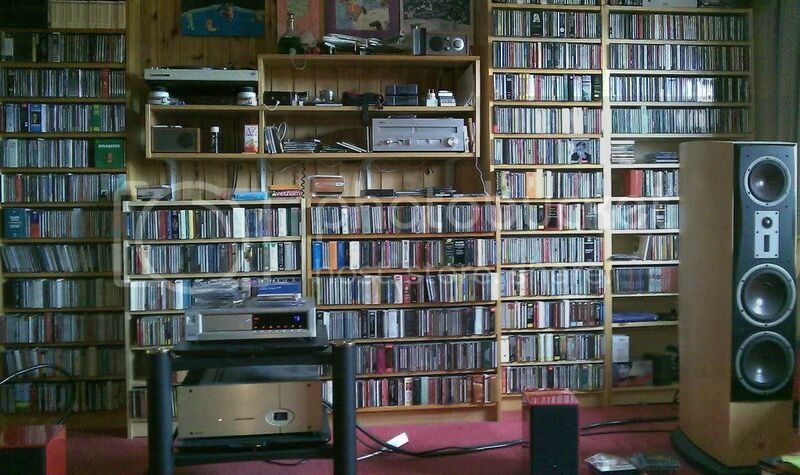 I think in Handel, the recording is more important than the music. What I mean is when 1 composer can make a fiasco out of it (Minkowski) another conductor can make the work fabulous (McGegan). Don't cheap out Harry! What a great site, Thanks Q!